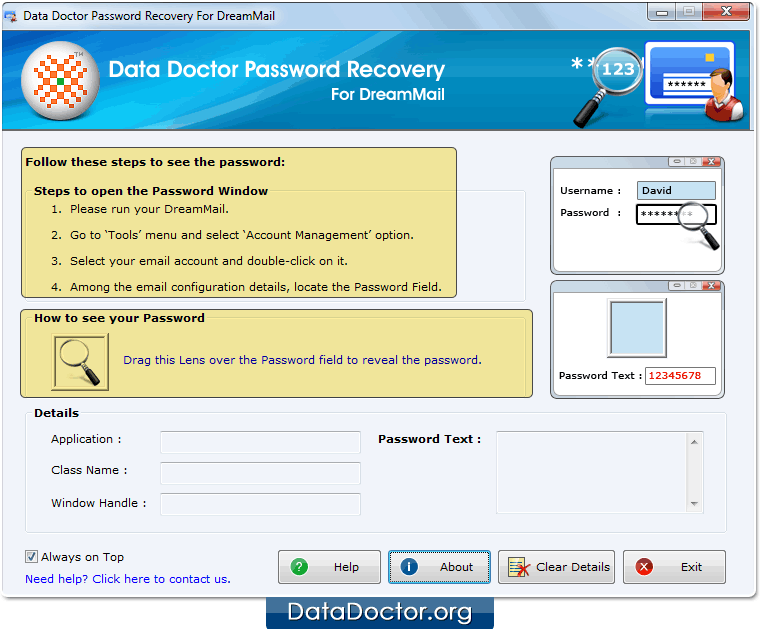 Password Recovery Software For DreamMail recover lost or forgotten password from DreamMail. 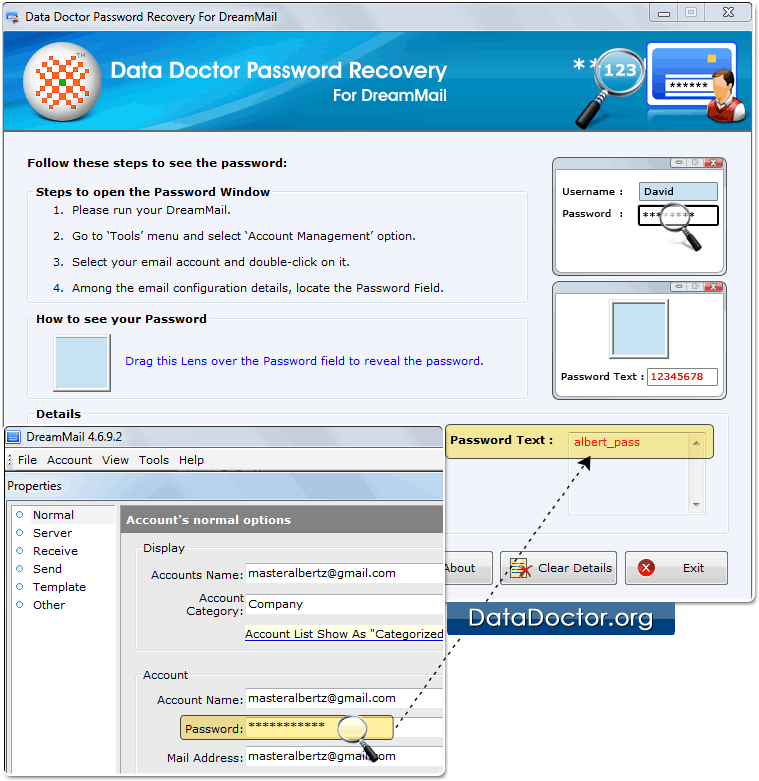 Password retrieval tool provides recovery of lost password even with special characters. Software is compatible with Windows 10, Windows 8, Windows Vista, Windows XP and other latest operating systems. 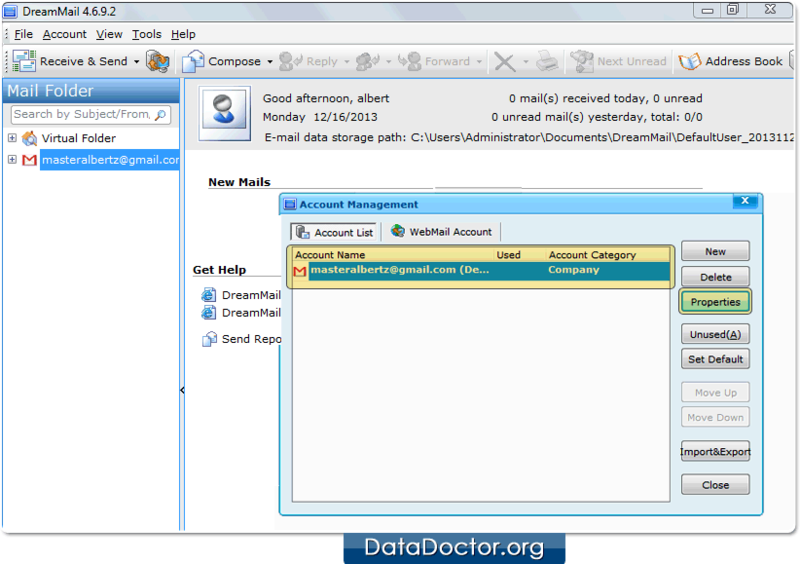 Install Password Recovery For DreamMail. 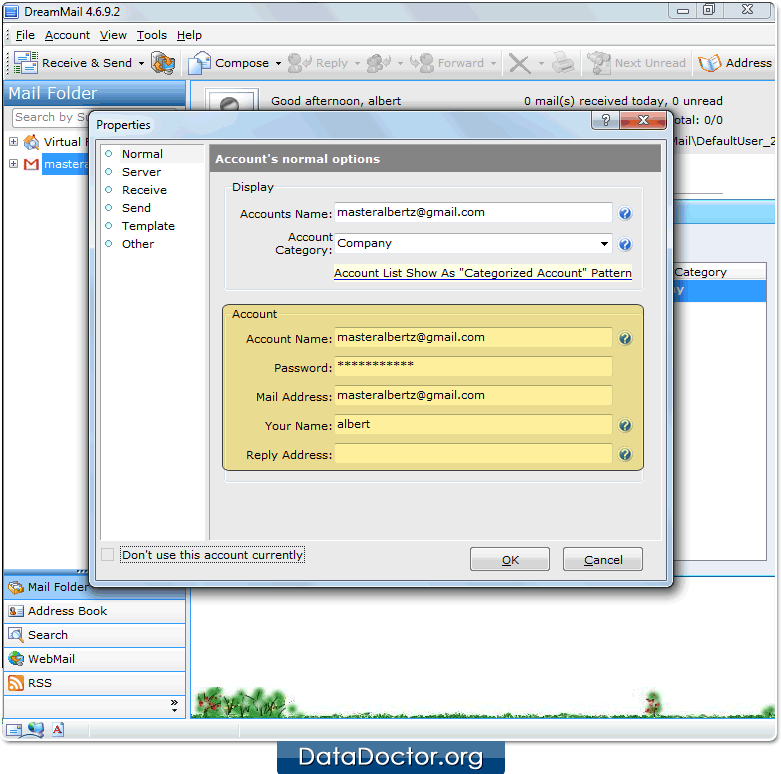 Go to ‘Tools’ Menu and select 'Account Management’ option. 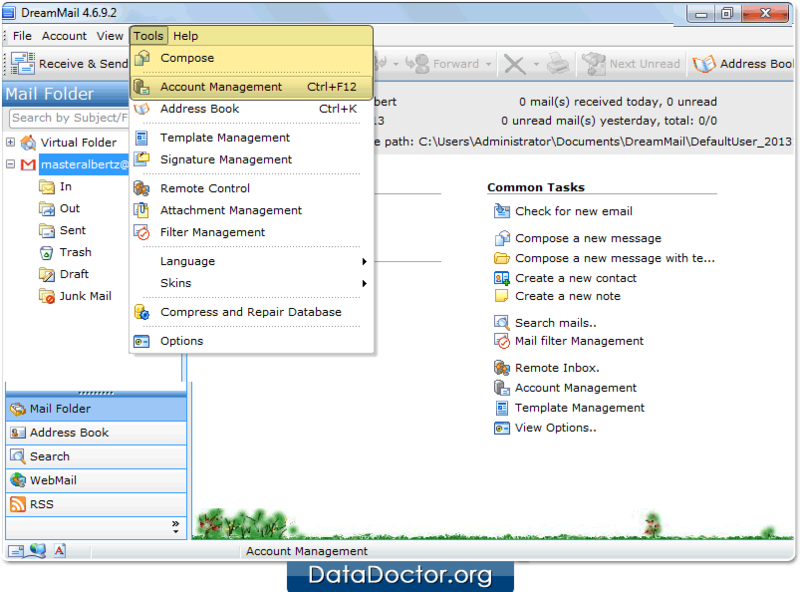 Select your email account by double click on it. Drag lens over hidden password to unmask it. Recovered password will be displayed in ‘Password Text’ field.